Boardman – There will be a Mass of Christian Burial held on Monday, December 3, 2018 at 10:00 a.m. at Our Lady of Mount Carmel Basilica, Youngstown, with the Father Christopher Henyk officiating, preceded by a 9:15 a.m. prayer service at the Rossi & Santucci Funeral Home, Boardman, for Joseph Anthony “Lowellville Joe” Alfano, 81, of Boardman, who passed away early Thursday morning, November 29, 2018. Joe was a loving husband, father, grandfather, brother and friend. He will be missed dearly for his sense of humor, generosity, along with the way he would light up a room with his presence. He was also easy going and the life of the party. Upon graduating from Lowellville High School, Joe attending Youngstown State University and then graduated from Barber College. Joe was employed for over 33 years with the Mahoning County Sanitary Engineers retiring in 2009. He was a member of Our Lady of Mount Carmel Basilica where he would attend adoration with his wife of the Blessed Sacrament and regularly attended their Spaghetti Dinners. Joe was also a member of the Men’s Mount Carmel Society in Lowellville where he was active every year with the Feast Day Celebration. Joe was very involved in the Boardman Band and Orchestra Parents where he was past president from 1989 until 1991 along with managing the fund-raising events such as working Bingo at the Embassy for over 10 years and organization for the Macy Day Parade. Joe had many passions throughout his life. He enjoyed working in his yard, listening to music and was an exceptional dancer. 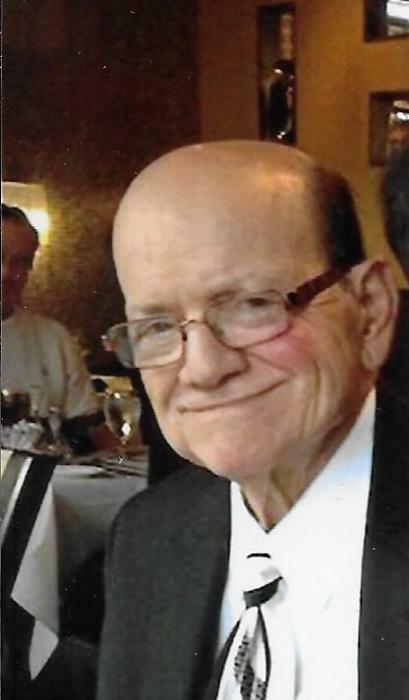 His family will miss all his excellent Italian cooking especially his chicken cutlets, greens and beans and pasta fagioli but mostly how he loved them unconditionally and never missed any of their activities. Joe coached for many years little league and pony baseball and was a huge fan of The Ohio State Buckeyes along with the Cleveland Browns and Indians. Joe leaves behind to hold onto his precious memories, the love of his life, the former Eleanor Limongi who he married on October 3, 1964 at Our Lady of Mount Carmel Church, Niles, two daughters Anne Katherine Alfano of Medina and Maria Alfano Stevens of Canfield, two grandchildren who were the apple of his eye, JJ and Gia Stevens, and a sister Marie DeSantis of Poland along with many nieces, nephews, cousins and friends. Besides his parents, Joe was preceded in death by a brother Phillip Alfano and a sister Rose Ziccardo. Family and friends may pay their respects on Sunday, December 2, 2018 from 2:00 p.m. until 5:00 p.m. at the Rossi & Santucci Funeral Home, 4221 Market St., Boardman. Entombment will take place at Lake Park Cemetery, Youngstown. On behalf of Joe’s family, they would like to extend their heartfelt appreciation to the staff of St. Elizabeth Hospital, Boardman Campus, especially to all the nurses in the ICU Department for all the care and compassion that was shown to them and Joe throughout this difficult time. Family and friends may visit www.rossisantuccifh.com. to view this obituary, sign the guest book and send condolences to the Alfano family.